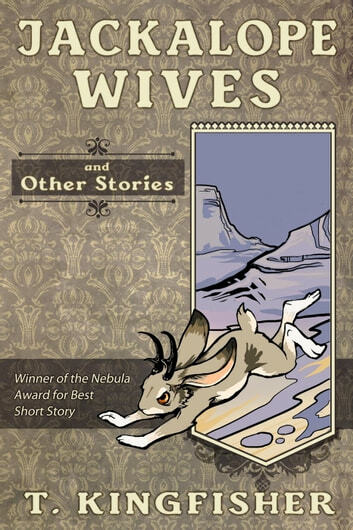 From award-winning author T. Kingfisher comes a collection of short stories, including "Jackalope Wives," "The Tomato Thief," "Pocosin," and many others. By turns funny, lyrical, angry and beautiful, this collections includes two all-new stories, "Origin Story" and "Let Pass The Horses Black," appearing for the first time in print. 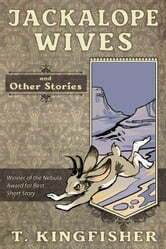 I love non disneyfied fairy tales, coyote stories and fractured fairy tales. These stories scratched an itch that I wasn’t aware that I had. I was warned that these stories may be “dark”, I guess I like “dark”, who knew? Thank you for submitting stories and allowing a wider audience to enjoy your craft. Ursula Vernon writes like a hybrid of two of my favourite author's- Neil Gaiman and Ursula le Guin. Her stories are poetic, earthy and unique with a wonderful dose of humanity and spirit. More please.